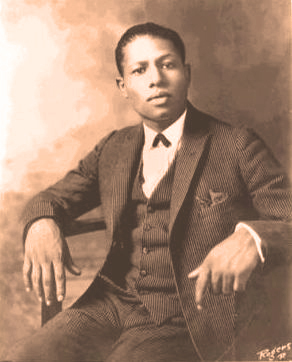 Alphonse "Alphonso" Trent (August 24*, 1905 – October 14, 1959) was an American jazz pianist and territory band leader. As leader, he recorded only eight sides: four in 1928, two in 1930, and two in 1933. 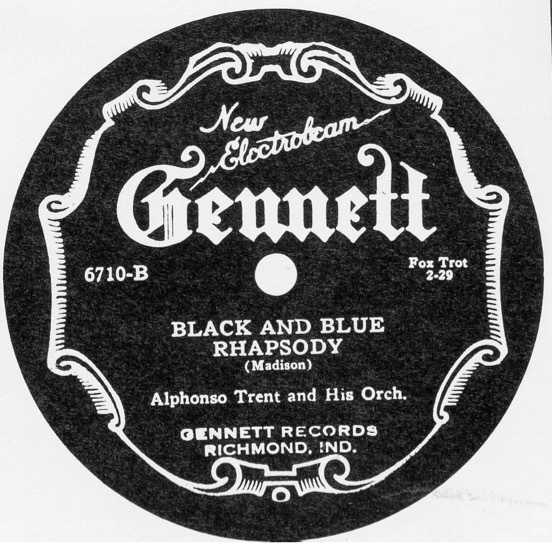 Pianist and band leader Alphonso Trent was born August 24, 1905 in Fort Smith, Arkansas. He led one of the most influential territory bands operating in the Southwest in the late 1920s and early 1930s. Budd Johnson, Louis Jordan, Herschel Evans, Dickey Wells, Mary Lou Williams, Tyree Glenn, Jimmie Crawford and Buddy Tate all acknowledge the influence of the Trent Orchestra on their early careers. Tate, for instance, stated that the Trent band was "outplaying Duke....I really think so. If they would have kept going they would have been as big as Duke or any of them." Trent attended Shorter College in Little Rock where he began playing in the capital city with a group called the Syncho Six, led by Eugene Cooke. The band featured Trent on piano, Crooke on banjo, Edwin Swayzee on trumpet, James Jeter on saxophone, vocalist John Fielding, A. G. Godley on drums and the legendary trombonist Leo "Snub" Mosley, who was then only fifteen years old. Other important jazz musicians who played with Trent over the years include Hayes Pillars, Stuff Smith, T. Holder, Chester Clark, Peanuts Holland, Cleo Roran and Charlie Christian. 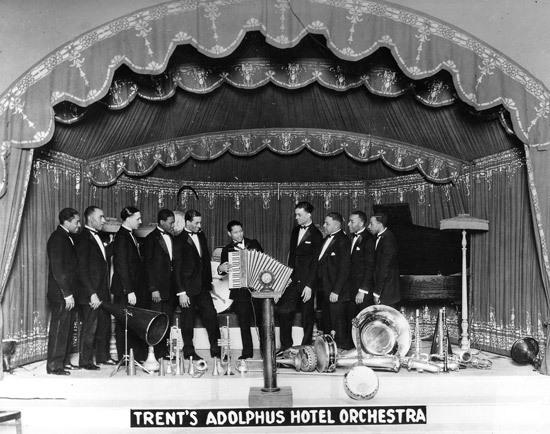 In 1925 the band went to Texas using the name The Alphonso Trent Orchestra. They played an engagement at the Adolphus Hotel (1315 Commerce Street, Dallas, Texas) that lasted eighteen months, a record length of time unequalled by any other black band in the region (the band is best known for this accomplishment). This engagement was also broadcast on the 50,000 watt radio station WFAA and these broadcasts were the first of their kind for a black orchestra, reaching an audience throughout the Central United States and Canada. From 1926-27 Trent's group toured Texas playing the Gunter Hotel;(205 East Houston Street) in San Antonio, the Waco Hotel (where they met the young trumpeter Harry James), the Austin Hotel, the Fort Worth Hotel, the Galvez Hotel (21st Street and Seawall Blvd.) in Galveston, the Rice Hotel (903 Texas Street) in Houston, and opened the new Plaza Hotel (100 Villita Street) in San Antonio. They also performed the inaugural ball of Texas's first woman governor, Miriam A. Ferguson. From 1927 through 1929 the Trent Orchestra travelled east, playing in Cincinnati, Louisville, Lexington, Buffalo, Stanley, Ontario, and took their only New York City date at the Savoy Ballroom. During this period the band made its first recordings (four songs for the Gennett Company in Richmond, Indiana), and it did "battle" with a band led by the great Louis Armstrong. The band was forced back to Fort Smith, Arkansas after a fire at the Plantation Club in Cleveland, Ohio destroyed the Trent Orchestra's instruments and library. 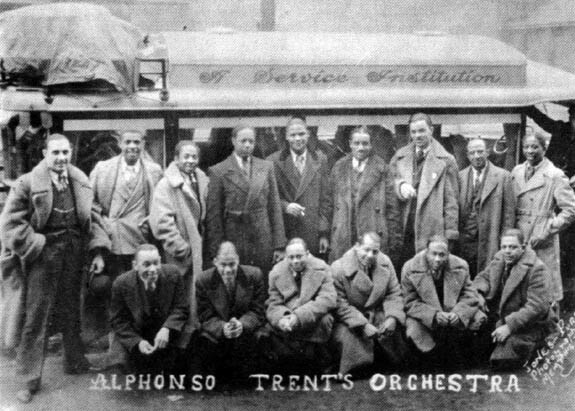 The Alphonso Trent Orchestra made one last road trip in the winter of 1933. The end finally came in Albany, New York, at the Kenmore Hotel (145 E 23rd Street). Trent eventually formed a smaller group, touring the Dakotas, Wyoming, Colorado and Texas. After World War II, Trent settled permanently in Fort Smith to manage the family’s real estate holdings and, beginning in 1953, the city’s first housing project, Elm Grove Homes. He remained active in the music business but restricted his performances to local nightclubs. Trent died of a heart attack in Fort Smith on October 14, 1959. He is buried in the city’s Oak Cemetery. Alphonso Trent was honored by UAFS Art Faculty and Students in September 2016 through the design and painting of an enormous mural on the north side of the UAFS Blue Lion music venue. Bryan Alexis, Assistant Professor of Graphic Design, created the art while his students, part of a special topics mural painting class, painted the work. “I am not from Fort Smith, and since I knew the mural was going on the side of a music venue I began to research famous musicians from Fort Smith. When I discovered Alphonso Trent I knew the search was over. He was the perfect subject,” Alexis stated. The mural includes a piano installation. Good music and good info. Thanks Bob. Thank you for this, and all the great music you post!